Unzip the OpenVPN configuration file that you just downloaded. Run OpenVPN software on your android device.Touch menu on your android device, then touch “Import”. Now touch “Import profile from SD card“. 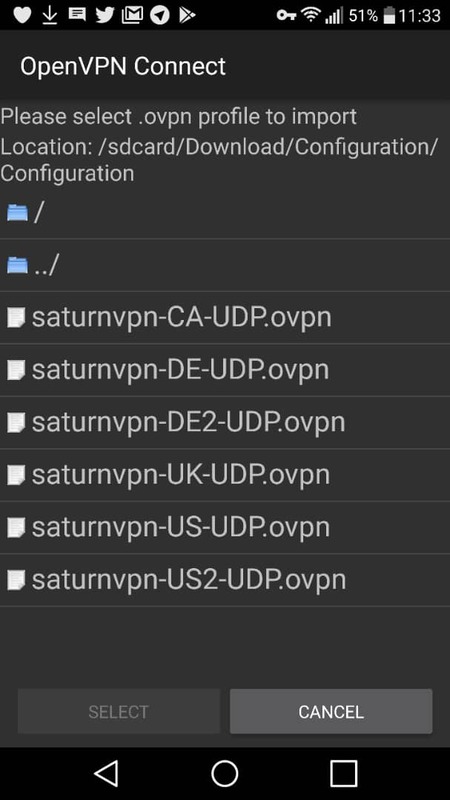 Find the OpenVPN configuration file ( saturnvpn-CA-TCP.ovpn, saturnvpn-UK-TCP.ovpn, saturnvpn-DE-TCP.ovpn …) That you just transferred to your device and select it. 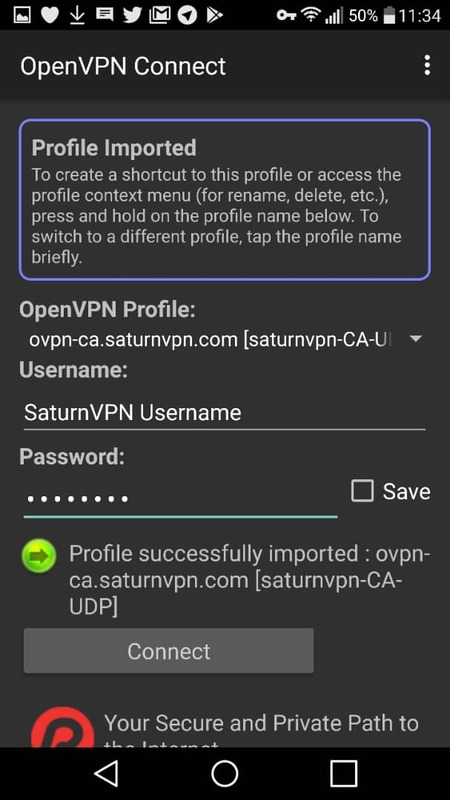 You are now connected to OpenVPN on android. To disconnect OpenVPN touch “Disconnect”.